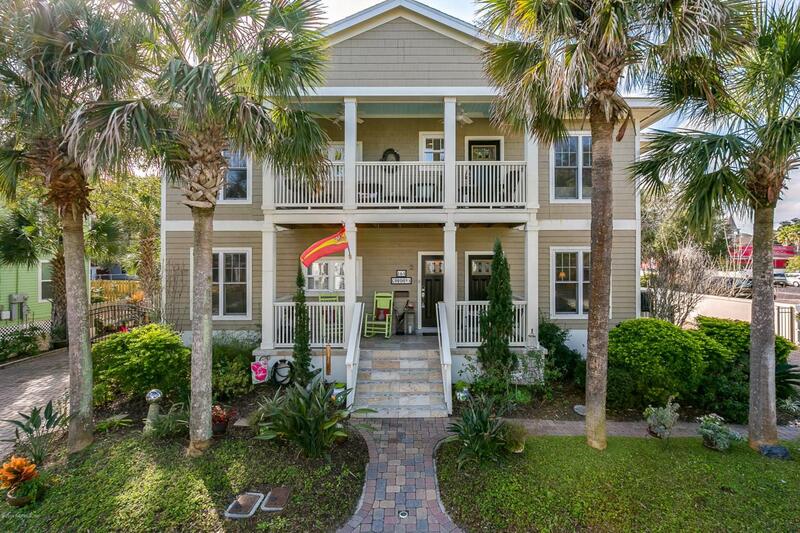 Currently operated as an income-producing vacation rental & part-time home for the owners, this downtown property provides a great investment return! With 3 bedrooms & 2 baths in each unit, beautifully finished & furnished throughout, virtually identical layouts up & down, plenty of gated parking & two websites for bookings, this property can function as a turnkey vacation rental for either one or both units. Live in one unit & rent the other either short or long term! Many options abound here!Completely and beautifully renovated in 2015, the duplex is being sold completely furnished, minus some personal items: some pictures, books, personal crystal, etc., and a desk in the upstairs middle bedroom (please see listing agent for a complete list).The upper unit, unit 2, has additional amenities as it's occupied by the owners part of the year. For instance, the upstairs kitchen has more cabinets. Unit 1's kitchen, always used by guests, has shelves for ease in finding the various dishes and glassware. The upstairs kitchen has a double oven, the downstairs a single. Please see "Documents" tab for glowing guest reviews, elevation certificate, survey, and more information!